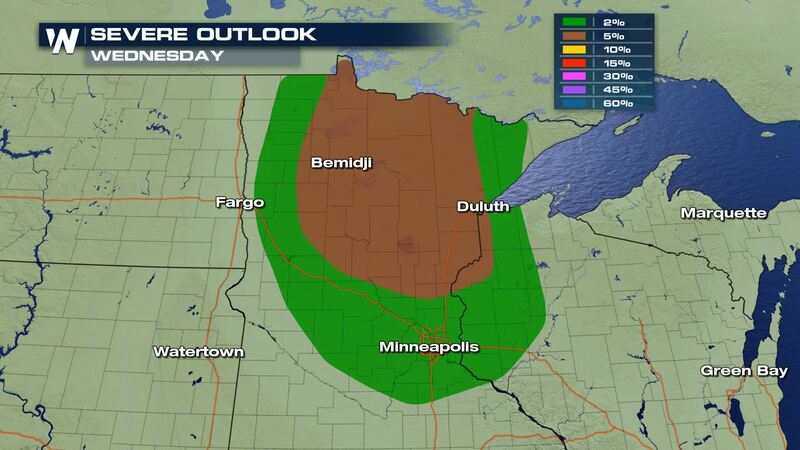 Severe storms will be likely today throughout parts of Minnesota and western Wisconsin. All modes of severe weather will be in the forecast, including large hail, damaging winds and even a few tornadoes. 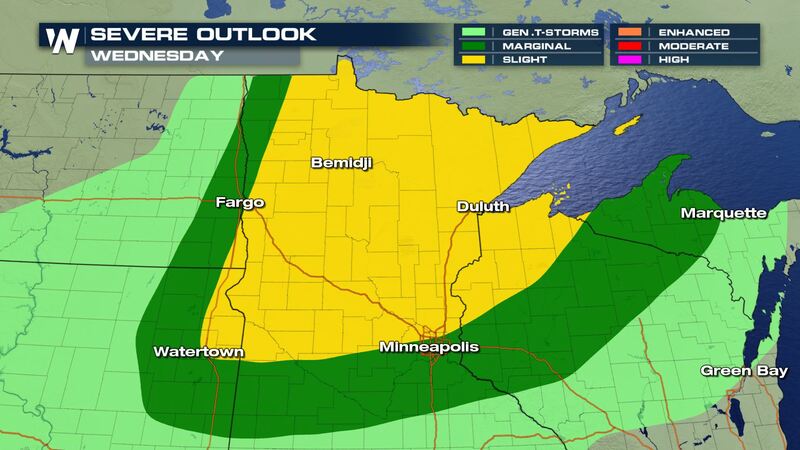 A good portion of Minnesota and western Wisconsin are under a “Slight” risk of severe weather for later today. This does include Duluth and Minneapolis. 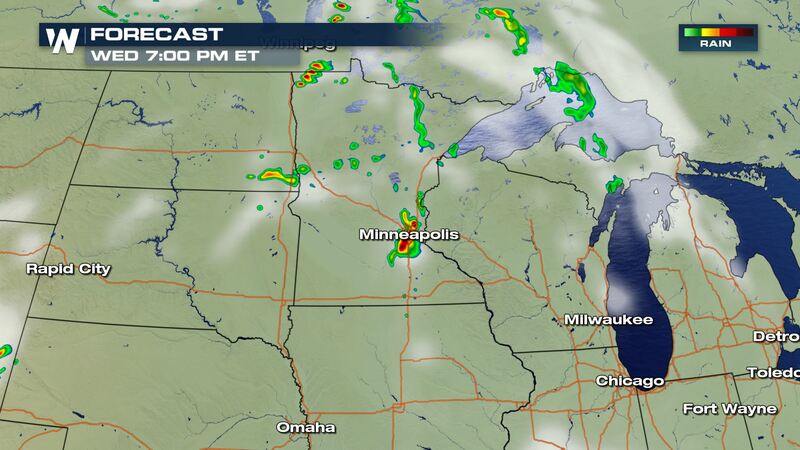 These will be the areas that we will see storms firing up during the afternoon. Individual “Supercell” thunderstorms will likely be forming (Storms with deep rotating updraft) and these are the storms that could potentially drop a tornado. 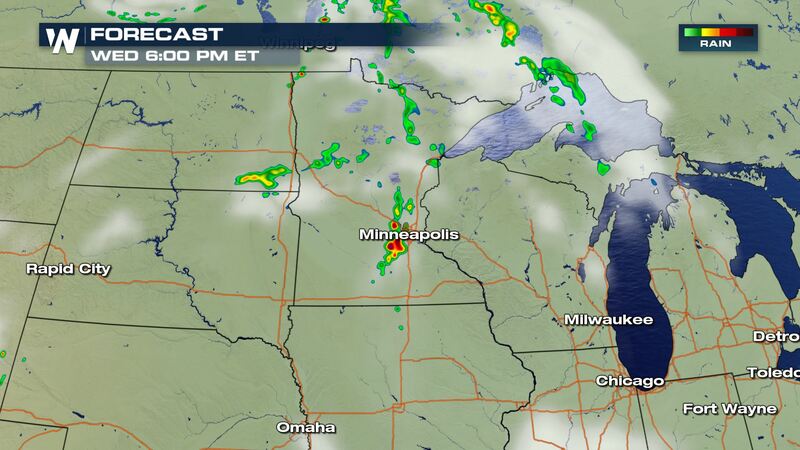 The latest timing for today’s storms will be during the peak heating hours during the afternoon. Our forecast is showing more of an isolated chance for storms, but we feel this is under doing the coverage with today’s storms. 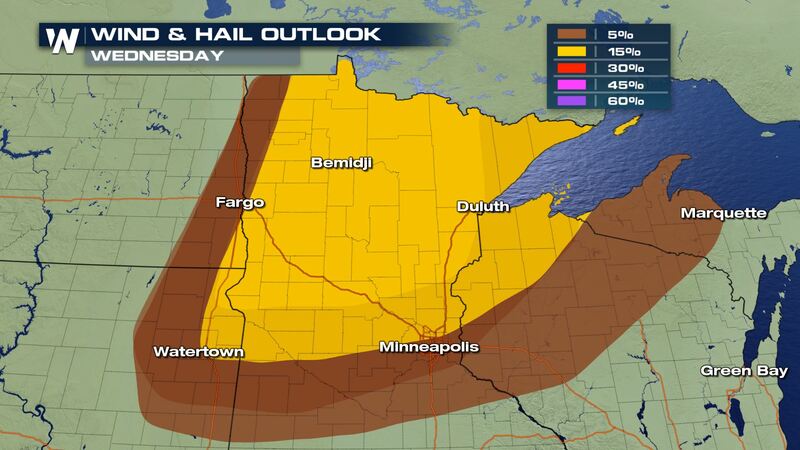 Today’s severe storms should be scattered in coverage. Keep checking WeatherNation for the very latest updates.